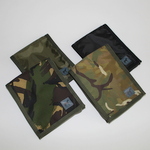 These notebook covers have been manufactured and supplied to soldiers around the world for over 25 years. 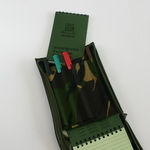 Originally a design for the Canadian Forces, the Aquascribe Notebook Cover securely holds a Rite in The Rain 4x6 pocket notebook (sold seperately). 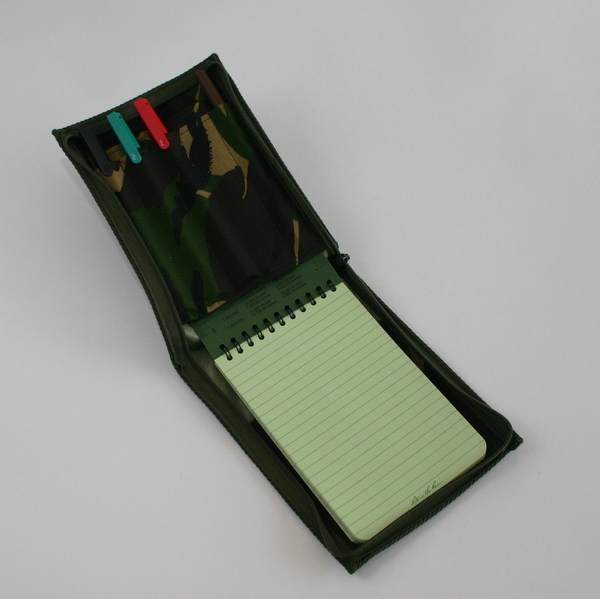 The cover has a zip fastener around three sides and two inner pockets for documents and five pen or pencil slots. The compact design measures just over 7 inches by 5 inches. The DPM and Multi Terrain Camouflage versions are manufactured using Military waterproof fabric whilst the Olive Green and Black versions utilize a lighter Polypropylene fabric.